What will become of the legacy of “French theory” in the twenty-first century? This is an important question because its answer is up to us—that is, to those of us who have learned from and who care about the conceptual and critical resources transmitted by the heterogenous production of philosophy and literary theory in France in the twentieth century. Audrey Wasser is of a generation of critics and theorists steeped in that inheritance who have devoted themselves to thinking through its relationship to transcendental critique, speculative idealism, and historical materialism. Wasser is also one among many younger critics who have little patience for the “post-critical” ideology afflicting some contemporary theory. Though her philosophical commitments are most directly to Spinoza and Deleuze, she is just as much at ease with Kant and Hegel, Derrida and Badiou, and her discerning intelligence never settles for the kind of dismissive postures that inhibit a generative relation to discrepant theoretical legacies from which we still have much to learn. 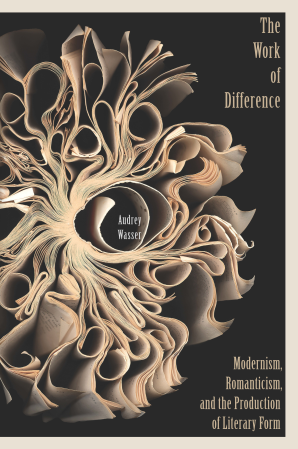 Wasser’s first book, The Work of Difference: Modernism, Romanticism, and the Production of Literary Form (Fordham, 2016) is a model of how one might draw lines of demarcation between different theoretical approaches without reducing them to polemical props. Wasser’s aim is to advance a theory of literary production answering to the question of the “new”: how is it that literary works are irreducible to context or intention—are genuinely different than their causes—without yet dissolving into the free play of indetermination? How can we read and theorize the determination of the new, of literary invention, without falling into either determinism or indeterminacy? That these questions are themselves by no means new is part of the point: Wasser shows that the form these questions take within literary theory has a history stemming from the reception of Kant by the Jena romantics, and she is concerned to articulate the difference modernist fiction makes, or should make, to the way in which we answer them. That is, she wants to articulate a theory of literary production that not only moves from romanticism toward the present but that accounts for the decisive intervention of literary modernism within that movement. The reception of Kant’s philosophy by the Jena romantics conditions their theory of literature through a schema of reflection, overburdening the literary work with the vocation of reflecting the absolute within its interior structure. This romantic schema of literary reflection, paradoxically conjoining the autonomous unity of the work to a logic of the fragment, is transmitted to contemporary theory through both New Critical and deconstructive methods of reading. The novelty of modernist literature can be grasped through its rupture with the romantic schema of the reflective fragment, inaugurating a new logic of literary differentiation irreducible to formal autonomy, negativity, or dissemination. A critical method adequate to this determinate differentiation of the modernist text might be elaborated through a theory of the literary work’s “problematic genesis,” drawn from concepts developed by Deleuze in Difference and Repetition. Wasser thus takes up Deleuze’s affirmative thinking of difference, distinguishing this approach from theories of reflection, unity, and negation—but in doing so she nevertheless thinks as closely as possible to the Kantian and deconstructive concepts she argues against. Her approach to the specificity of literary modernism pits it against the theoretical legacy of Jena romanticism—but her understanding of that specificity is conditioned by a formation steeped in the romantic inheritance she attempts to delimit. Working from the reception of Kant by Fichte and the Schlegels through developments in French theory indebted to that reception, Wasser’s careful engagements with Derrida, Blanchot, Nancy, and Lacoue-Labarthe glean as much as they reject from what they criticize. Though the theory of literary production she advances is indeed “Deleuzian,” it owes as much to Macherey as it does to Difference and Repetition. Moreover, the method of rhetorical reading Wasser practices in her book’s final three chapters—on Beckett, Proust, and Stein—is deeply indebted to Paul de Man, even as she pushes the consequences of that method in new directions. In terms of its genealogy, then, the theory of “the work of difference” articulated by Wasser is itself internally differential, drawing discrepant theoretical resources into an original practice of reading. 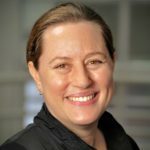 The concept of the problematic genesis of literary works developed by Wasser highlights the productive complexity of her theoretical affiliations. She argues that the irreducibility of a work to context, intention, technique, or to the autonomy of own its form demands a “positive, genetic account of the difference between literary form and authorial intention, or between form and its causal context” (73), and she foregrounds Deleuze’s theory of problems as a framework within which to conceptualize the differentiation of work from either ground or closure without thereby dissolving its determinacy. The genesis of the literary work involves the constructive selection of a problem from which it differentiates itself as a solution, a double process of disjunction from causal continuity that constitutes the formal determinacy (not unity) of the literary text. The particulars of this account are worked out in detail in Wasser’s fourth chapter, but what interests me here is the genesis of the concept of the “problem” itself. Theorized in its requisite metaphysical complexity by Deleuze, the concept functions quite differently in Macherey’s Theory of Literary Production, where it offers a manner of theorizing the work’s double attachment to, and separation from, ideology—a way of grasping the rifts and silences internal to the work that mark this disjunctive attachment. Wasser’s account hews more closely to Deleuze’s framework than Macherey’s, but the relevance of both these thinkers to Wasser’s book opens the possibility of a theoretical encounter between “Marxist” and “Deleuzian” approaches to literary criticism that might otherwise seem improbable. Tracing the lineage of the concept of the “problem” backward from both Deleuze and Macherey, we find its genesis in the writings of Gaston Bachelard in his important (and still untranslated) work on scientific epistemology, Le Rationalisme appliqué (1949). There Bachelard theorizes “the problematic” as the field of questions and protocols within which an object of knowledge is investigated, its “rectification” through the specification of a program of experiments constituting the terrain of an epistemological approach. Disjoined from its specific application to scientific epistemology, Bachelard’s theory of the problematic will inform the work of Canguilhem, Foucault, Althusser, Macherey, and Deleuze, and its passage across these different theoretical programs speaks to the range of its largely overlooked influence upon postwar French philosophy. But if the theory of the “problematic,” or of “problems,” is applicable to such fields as physics and chemistry (Bachelard), biology (Canguilhem), history (Foucault), metaphysics (Deleuze), or Marxist critique (Althusser), what lends it the specificity requisite for a theory of the literary work? It is this pressing question that the final three chapters of Wasser’s book answer so persuasively, through a practice of rhetorical reading highlighting the centrality of figurative language to the problematic genesis of literary works and to their internal self-differentiation. In particular, her chapter on Proust’s Recherche brilliantly shows how the figure of hyperbole not only introduces a difference between sign and meaning, but constructs in Proust’s narrative pivotal differences between what the literary text says and what it does, a field of differences between intention, form, effect, and potential interpretive intervention that determine the work through its non-coincidence with either genesis or reception. Far from functioning as examples merely complementing the primary work of theoretical articulation, I see the final three chapters of The Work of Difference as the core of its theoretical project—a practice of criticism that is itself a practice of theoretical construction. Our forum’s respondents—Greg Ellermann, Kate Marshall, and David Cunningham—each highlight a different question stemming from Wasser’s book. Ellermann queries the book’s account of romanticism, asking after alternative legacies that might be drawn from Kant’s notion of “the epigenesis of reason.” Marshall focuses on the relation of Wasser’s Deleuzian theses on the literary object to her complementary critiques of Cleanth Brooks and Maurice Blanchot. Cunningham challenges Wasser’s positive account of literary genesis with an historical materialist defense of the import of negation for cultural theory. All three responses thus draw out key elements of Wasser’s contribution to contemporary theory by highlighting the debates it aims to clarify and to spark, and in this respect the relation of The Work of Difference to Marxist literary criticism is a fine example of how the book’s discrepant conceptual lineages might be developed in new directions following from its intervention. The import of both Macherey and Deleuze to Fredric Jameson’s theory of the political unconscious1 suggests potential lines of affiliation between Wasser’s approach and the development of historical materialist criticism that might refine our appraisal of relationships not only between form and history, but also between apparently competing theoretical methods. Indeed, The Work of Difference should press literary critics to rethink what we know not only about the genesis of the literary work, but also about the genesis of contemporary theory. As philosophically rich as it is provocative, Audrey Wasser’s The Work of Difference is a book about many things: the rhetoric of modernist fiction, the lingering presence of romantic ideals in twentieth-century criticism, and the relevance of Deleuze’s ontology to thinking about the production of literary works. It is also, as I read it, a book about Kant and his reception. Wasser’s central claim is that the experimental writing of early German romanticism, especially as this writing engaged with the system-building philosophy of its time, left us with a legacy that continues to control the way we think about literary newness, literary form, and the relationship between literature and truth” (2). The argument demands of literary critics a sustained rethinking of their relationship to the intellectual line inaugurated by Kant and directed towards literature by romanticism. 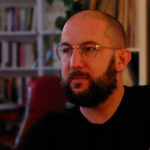 As Wasser shows, through close and convincing analyses of texts by Cleanth Brooks, Maurice Blanchot, and others, the basic conceptual coordinates of modern criticism—that is, a reliance on certain notions of subjectivity, autonomy, intention, possibility, and reflection—were set in the Kantian-romantic moment. Even more striking, Wasser demonstrates that many shortcomings of modern criticism can also be traced back to Kant and his romantic followers. Thus, the failure of twentieth-century criticism to satisfactorily address how literary works come to be is actually a failure latent in Kantian-romantic thought. My response will begin by reconstructing this important argument. I agree with Wasser about the romantic premises of much critical practice. I also find myself in sympathy with her aim of articulating a new ontology of literary production. Indeed, the question of genesis, or of the “production of the new” (6), seems to me both essential and in desperate need of the reorientation undertaken here. (Among its many virtues, Wasser’s book shows that such themes can be treated without ever appealing to an indeterminate “vibrancy” of matter.) I hesitate, however, to affirm the call for “a non-romantic theory of literature” (3), especially as the basis for a rethinking of literary production. This is not because, as Paul de Man once argued, romanticism has dismantled in advance all of our genetic narratives. Rather, it is because romanticism, under the guise of the philosophy of nature, offers significant resources for thinking about these precise problems of genesis and production. In the later part of my response, I signal some points of contact between Wasser’s project and the romanticism it would leave behind. What are the limits of Kantianism and how do they condition the work of critics in the twentieth century and today? For Wasser, the answers to this question are several. First of all, the romantic adoption of Kant’s basic conceptual framework, with its separations and mediations between freedom and necessity, reflection and production, art and nature, has made it impossible to pose the question of literature’s genesis. This is a point worth dwelling on. When Kant proposes, in the third Critique, that aesthetic and teleological judgments mediate between our moral and intellectual freedom and the necessity of the natural world, he offers up the experience of beauty as a response to our most pressing philosophical needs. The Jena romantics in particular understood this to mean that aesthetics is the highest form of thought. Indeed, for Friedrich and August Schlegel, Novalis, and others, Kant legitimated “a model of literary form as speculation” (4). As Wasser demonstrates, through a subtle reading of the Athenaeum Fragments, romanticism transforms Kant’s aesthetics into a theory of literature as the completion of philosophy. Thus, she writes, “the true innovation of romanticism takes place in literature for philosophy” (26). The problem with this romantic innovation is that it merely relocates all of the oppositions supposed to be overcome by the aesthetic. By identifying the literary fragment as a reflection of the absolute, as evidence of an underlying unity and herald of a “total Work” to come (30), the romantics assign to literature an infinite and impossible task. Through its very presence, the fragment obscures the absolute it is intended to evoke. Even more important, in insisting on the paradoxical and self-reflexive nature of the fragmentary work—on its incompletion and its infinitude, its partiality and its autonomy, its need of a critic or reader and its spontaneous self-production—romanticism reiterates the oppositions it aims to transcend. According to Wasser’s lucid exposition, “in reflecting on itself and in giving itself to reflection, the work attempts to approach a reconciliation of the philosophical conflict between necessity and freedom, form and formation, that I traced back to Kant’s conception of the subject. In fact, this model of the work succeeds only in perpetuating—indeed, in making absolute—the terms of this tension” (37). Since romanticism’s encounter with Kant, the theory of literature has struggled to think its way out of these opposing categories. Nowhere is this more apparent than in the twentieth century’s failed efforts to explain literary production. Tracing familiar romantic binaries in the New Critics, Blanchot, and Derrida, Wasser masterfully shows how each draws up before and finds unanswerable “the question of how to relate an autonomous structure to its genesis, or how to relate the autonomy of a work to the necessity of the causal relationship that produces it” (66). Whenever literary theory presupposes a divide between freedom and necessity, this will be its fate. This leads us to the book’s second major point about the limits of Kantianism. It is related to, but more fundamental, than the first, and it emerges most clearly in the final chapter, on Gertrude Stein. “To think the new is the task of any contemporary philosophy of art,” Wasser reiterates (154). As we have seen, by opposing the work’s freedom to its necessary contexts and causes, Kantian-romantic thought cannot grasp the emergence of new works. But the problem is greater than a single conceptual opposition. Drawing on Deleuze, Wasser now takes aim at Kant’s entire manner of “conceptual determination.” As marshaled by Kant and his romantic followers, she argues, “concepts absorb the singular—they absorb the truly new—into a preexisting system of representation.” In other words, in Kantian transcendental philosophy, “the real is limited by a priori forms (space and time, as well as the categories that depend on them), which are granted primacy over sense experience, determining in advance the texture and consistency experience will have, and assuring its conformity to a transcendental subject envisioned as purely receptive” (155). No new work or aesthetic experience is ever thinkable in the terms of a system where, Wasser contends, the limits of experience are set in advance. So, we began with the division between freedom and necessity, only to discover that the problem is really one of possible experience and its forms. But as Kant himself suggests, in the Critique of Pure Reason, these are perhaps two ways of talking about the same thing: the categories, or “the original pure concepts of synthesis that the understanding contains a priori” (A80/B106). Now Kant contends that, for us, possibility and impossibility, being and nonbeing, necessity and contingency are all irreducible functions of the understanding. They render our experience of empirical reality coherent. Freedom is not a category of the understanding but a “pure transcendental idea”; it exceeds experience, yet it still plays a powerful explanatory role (A532-4/B560-2). These are together the precise concepts and oppositions that Wasser finds constraining modern criticism. She therefore asks, again with Deleuze, if experience might be thought differently, in a way that would make room for the new. Others have objected to Kant’s table of categories. Hegel, for instance, claims in the Encyclopaedia Logic, “We are all well aware that Kant’s philosophy took the easy way in its finding of the categories” and it simply appealed to “the various kinds of judgment already specified empirically in the traditional logic” (84). For Hegel, the table of categories is basically arbitrary and constraining in its formalism. It remains for later idealism to deduce the categories of thought in their real necessity; idealism must take a genetic perspective. For Wasser too, as we have seen, the problem of genesis is central. Accordingly, she looks to the genetic ontologies of Henri Bergson, Gilbert Simondon, and Deleuze, an avowedly non-Kantian intellectual line, for new conceptual tools. In these thinkers, Wasser seeks the metaphysical basis for “a ‘more profound aesthetic’ . . . [one that] would accord a creative priority to experience itself, granting it the power to compose characteristic and local forms ‘step by step’” (155). Only such an aesthetic would explain the emergence of new literary works and experiences. Just before her compelling account of the “differential production” of literary works, Wasser draws an interesting biological analogy. Past theories of literary production, she remarks, have followed the logic of either “preformism” or “spontaneous creation” (75). These opposing biological theories, prevalent in the eighteenth and early nineteenth centuries, both sought to account for the emergence and development of organic beings. While preformism assumed the existence of minuscule seeds, in which all the parts of a fully grown organism were contained in miniature, spontaneous generation saw organic life as a contingent product of inanimate matter. Wasser is right, I think, to point out the persistent, incompatible logics at work here. To reduce a work to its context or to its author’s intention is to rely on a kind of preformism; to sever a work from its preexisting causes is to propose a spontaneous generation. Wasser, however, refuses this “false choice, a choice premised on a reductive opposition between the Being and Non-Being of causation” (75). Instead, she proposes “an account of the problematic genesis of literary works” (76), premised on the work’s emergence from and its ongoing differential relation to the field of problems that condition it. Process, individuation, and experiment are key. Rather than restate Wasser’s own theory of the literary work, I’ll close by drawing a few more links to the Kantian-romantic moment. I began by noting that romanticism might actually help us think about generation and production. Even before encountering the biological analogies discussed above, I wondered as I read if the romantic philosophy of nature might resonate with Wasser’s project. What would happen if, for “problematic genesis,” we were to read “epigenesis,” that conceptual cornerstone of romantic biology? In the third Critique, Kant invokes epigenesis to resolve the deadlock between preformation and spontaneous, or “equivocal,” generation: “For in considering those things whose origin can be conceived only in terms of a causality of purposes, this theory, at least as far as propagation is concerned, regards nature as itself producing them rather than as merely developing them,” he writes (311). Epigenesis attributes a “formative impulse” to living beings, a drive by which they emerge and evolve in unprecedented ways. In the Critique of Pure Reason, it also serves as an analogy for the workings of the categories themselves. Neither preformed by God nor derived from experience in a spontaneous generation, the categories of the understanding dynamically unfold according to “a system of epigenesis, as it were, of pure reason” (B167). In moments such as these, Kant’s categories seem surprisingly lively, as they respond to intuitions and enter into new configurations. Here, Schelling outlines a theory of production that weaves together free action and expression with the necessity of a causal context. In the generative relations between impulse and environment, formative intention and formed product, we discover the grounds for the necessary genesis of an autonomous object. This process is what Schelling calls “epigenesis.” As I noted above, it traverses the real and undoes the distinction between natural and artistic production. Indeed, Schelling’s later philosophies of art and mythology insist on just this. So, in closing, a question: might we still be thinking with romanticism about the epigenesis of the work? De Man, Paul. Allegories of Reading: Figural Language in Rousseau, Nietzsche, Rilke, and Proust. New Haven: Yale University Press, 1979. Hegel, G. W. F. The Encyclopaedia Logic. Translated by T. F. Geraets et al. Indianapolis: Hackett, 1991. Kant, Immanuel. Critique of Judgment. Translated by Werner S. Pluhar. Indianapolis: Hackett, 1987. ———. Critique of Pure Reason. Translated by Werner S. Pluhar. Indianapolis: Hackett, 1996. Schelling, F. W. J. First Outline of a System of the Philosophy of Nature. Translated by Keith R. Peterson. Albany: State University of New York Press, 2004. Wasser, Audrey. The Work of Difference: Modernism, Romanticism, and the Production of Literary Form. New York: Fordham University Press, 2016. I love the economy and elegance with which Greg Ellermann identifies the problem motivating my argument. Namely, he points to the failure I see in Kantian and post-Kantian Idealism to provide an account of the production of individual being adequate to twentieth- and twenty-first-century artworks. He’s sympathetic to my critical approach to contemporary criticism, and even more so to my aim of articulating an ontology, not just of literature, but of literary production. In particular, he notes the way I link the question of art’s newness to an ontology that can think the genesis of the new. Ellermann is interested in genesis, and so he poses one major question, a difficult one that he raises in earnest: is there not a notion of genesis in Kant, or among the post-Kantians, that is more in line with my argument than I’ve acknowledged? He points to two examples that might fit the bill: Kant’s notion of “epigenesis” as it appears in the third Critique, and Schelling’s treatment of the same in his First Outline of a System of the Philosophy of Nature. There’s much to say here. I’ll begin with the rhetorical reasons for my approach, and then I’ll address some of the bigger concepts at stake in Ellermann’s question as I see them. Part of my argument is about the tenaciousness of romantic thought, and about the way this thought inscribes philosophical concerns in literary forms, including figures of speech. Departing from romanticism entails disentangling oneself from patterns of thinking controlled by certain forms, images and metaphors, especially metaphors from the natural world. Somewhat artificially, perhaps, I wanted to draw a line between “romanticism” and “modernism”; and I wanted to hold the line, a gesture I find not only rhetorically interesting but conceptually clarifying—just as it can be conceptually clarifying, conversely, to salvage a concept that has fallen out of favor, as Ellermann perhaps wants to do with the organic. I do engage with the notion of organic form directly, most significantly in chapter 2, in my readings of Coleridge and Cleanth Brooks. There I ask: what exactly is being asserted in the comparison of a poem to a living organism? And I argue that, despite the fact that a principle of intention would seem to be at odds with a theory of organic form (as de Man suggests in “Form and Intent in the American New Criticism”),1 in fact, intention and form are precisely what the banner of the “organic” serves to draw together. For Coleridge and Brooks, the organic is used as a metaphor for poetic form, I contend, not to represent the static unity of a poem, but to unite this unity with an act of intention or power of making, with a formative force (Wasser 47). I call this metaphor a “catachresis” because it doesn’t seem to be a definition or explanation of any sort. Rather it entails the use of a term in lieu of an explanation. “Organic form,” as I see it, unites form and intention by means of sheer assertion, offering no real way to think the integration of these two incompatible logics. “Organic form” is simply the name for something we don’t understand. Kant acknowledges, in other words, that his system can mark the place of organized beings, that it can identify the principles necessary to think them, but that it cannot think them as they are in themselves. Now “epigenesis” intervenes specifically in biological debates opposing pre-formism to spontaneous creation, and does so by proposing to think organic form as self-generating. It attributes a “formative impulse” as Ellermann calls it, to nature itself. I can see how this attribution wants to reserve a place for creativity and novelty in the natural world—a place for freedom, we might say, within a system of necessity. Yet I do not see how this place is rendered conceptualizable. Kant himself says that it is not. It’s all the more striking, then, to note as Ellermann does, that in the first Critique Kant offers “epigenesis” as a way of describing the production of his own system, referring to the emergence of categories of the understanding through “a system of epigenesis, as it were, of pure reason.”3 Kant is suggesting that there is something unthinkable in the genesis of his own system, something that reason cannot present to itself, a limit to the immanence of reason’s self-critique. To be fair, we know Kant’s goal is not to describe things as they are in themselves, but only to provide guidelines for thought. So what guides us when it comes to conceiving the causality of purpose in the natural world? In his unpublished First Introduction to the third Critique, Kant makes it clear we are guided by analogy: “Teleological judgments in no way presume to assert that . . . nature (or some other being [acting] through nature) in fact proceeds intentionally. . . . All they assert is that we must use the mechanical laws of nature in accordance with this analogy.”4 We don’t need divine intention to account for organic form, in other words; all we need is something like the metaphor of intention. Derrida has written extensively about the role of analogy in the third Critique, and I don’t want to tread that same ground here.5 I do want to note, however, that if a metaphor lies at the basis of our conception of “epigenesis,” then we probably need to explain what metaphor is, or what literary language is, and perhaps what literature is in general, before we use “epigenesis” to explain what literature is. Schelling transforms Kant’s treatment of “epigenesis” into a robust metaphysics, but it’s not clear to me that this changes anything for literary critics. More broadly, I would submit that any attempt to talk about literary form on the basis of a model of natural force, whether Schelling’s or Kant’s, will have to address the status of its own metaphorics. Some preliminary questions suggest themselves. What happens to the notion of poetic intention if we draw on the natural world for terms of literary analysis? How do we account for the interiority of meaning coming to be externalized as a phenomenal object? What happens to language if we place it on the terrain of Newtonian physics, as the metaphor of “force” would seem to? What does it mean to talk about language as if it could move, act, or react like a force? And finally, what guarantees the intelligibility of these animating or apostrophizing figures, the figures we employ in talking about language this way? Audrey Wasser has produced what has become so rare and wonderful in the present field of literary studies—an original work of literary theory. I confess immediately to being guilty of nostalgia for a time when at least it seemed as though this kind of work formed the pinnacle of ambition for literary scholars, when attention to form and thought constituted in clear terms what counts as the production of new knowledge in the discipline. It is uncontroversial to say now that this is not the case, and that even the originator and last great holdout of literary theory, comparative literature, has shifted as a discipline to honor historical, linguistic, and national particularity, even in comparative terms, over grand theoretical claims. Wasser’s book, The Work of Difference: Modernism, Romanticism, and the Production of Literary Form, provides a welcome response to this turn, and demonstrates how superb knowledge of form in literary history can be marshaled for significant theoretical insight. That insight resides in how Wasser moves from what she calls “the problem of the new” to the essence of literature itself. She proves throughout the volume that to tackle the question of the new in explicitly conceptual turns is required to understand the question of what literature is. Her stated aim is “to articulate a non-romantic theory of literature” (3), which she achieves (and she does achieve it) only through a faithful rendering of romantic and modernist theories of literature as they are themselves articulated in response to the question of newness. At stake is how contemporary theories of literature have lost touch with the genealogy of their assumptions, and in particular how the metaphysical implications of Romantic conceptions of the literary are unacknowledged but crucial to the concept of the literary as it functions today. Wasser’s profound and systemic knowledge of the philosophical traditions underpinning Romantic thought, in particular from the German tradition, allows her to isolate the kinds of system-building apparatus that becomes integral to the way that the literary becomes thought of as an immanent dimension of literature itself. The book moves in two separate but complementary parts, laying out a genealogy of the question of the literary as it is constituted in relation to the new in Romantic, modernist, and postwar French thought, and the connections Wasser draws are surprising and significant for literary and intellectual historians. Even more unlikely than the debts she shows the New Critics owe to Romantic thinkers they at times professed to despise are the connections between the New Critics and the thought of Blanchot, of whom she performs a loving but trenchant critique. The broader intellectual and conceptual history concludes with a dazzling and instructive reading of Deleuze and Wasser’s own theorization of the literary extended from it. She then puts this thought into practice through a series of original readings of major modernist writers, including Beckett, Proust, and Stein. The result of these readings is that Wasser emphatically demonstrates that her account of literature does elevate the theory of literature she extrapolates from Deleuze to something more capacious and significant than Deleuze himself claimed for it. Her elevation and extension of the conception of the literary through problems provides an important starting point for any critic working today. The claim about Romantic thought in The Work of Difference rests on Wasser’s periodization of a brief moment in which the idea of what literature is moves from an external to an internal one—it’s between 1798 and 1800, she says, that our contemporary conception of literature most clearly emerges, with Schlegel’s Athenaeum writings. This claim is elaborated in a robust chapter on the legacies of Romanticism that includes a superb overview of “the question of literature” in both poststructuralist thought and in its longer philosophical history. Like Wasser’s later breakdown of Deleuze, this overview is pedagogically dazzling for its combination of clarity, concision, and capaciousness. The careful groundwork Wasser lays in Romantic philosophy makes her counterintuitive history of the New Critics, written largely via Coleridge, follow quite naturally, and the New Critics look very different in Wasser’s account than they appear in the proliferating intellectual histories of the postwar period. These histories focus on public debates, author networks, and popular figures much more than on the formal nuance worked out in the movement. Wasser’s critique thereby also recovers some of their sophistication. All of this builds to the signature two readings of the book—Wasser’s loving but intractable dismissal of Blanchot and her arrival at Deleuze. In her chapter on Blanchot, “Tyranny of the Possible,” Wasser shows not only his structural continuity with the New Critical problems of unity and intention, but also how that continuity, in her view, provides clear limits on the capacities for what literature can both be and do in the world. Although I am more comfortable with the formal operations that result in a literature that communicates by “communicating itself” (58), Wasser convincingly shows what kind of foreclosures and negativities Blanchot’s theory of literary origin places on the possibilities for literary freedom and creation in both his own writing and in its legacies in poststructuralism. And her conclusion is particularly resonant today: “At bottom, for Blanchot, each work is nothing but the site of a greater truth in which literature is overcome—or better, in which literature is revealed as the force of its own self-overcoming, the privileged producer of sad allegories of its own phenomenal and linguistic predicament” (71). It’s hard not to sympathize with her frustration with the production of “sad allegories” as opposed to a messier and more transformative concept. Transformation is instead what arrives at the true heart of The Work of Difference, which is Wasser’s brilliant chapter on Deleuze. In it, she unequivocally establishes Deleuze as one of the great literary theorists of the late twentieth century, and does so by looking to where he was perhaps more modest about the literary aspirations of the thought. One of the most remarkable aspects of the book, and one I imagine I will be assigning to students for years to come, is the set of “five theses on the literary object” that Wasser develops to elaborate and extend a Deleuzean ontology of the literary object. These theses, whose fleshing out fills the rest of the chapter and indeed the literary readings that follow, form a set of claims about literary production in relation to problems and its process. The theses are too perfect to reproduce entirely here rather than leave in their context. When Wasser asks her readers to “consider the idea that literary works arise in relation to problems,” her detailed account of the power and legacy of Romantic thought makes this proposal seem appropriately jarring, and her moves through philosophical propositions that become ontological claims about literary objects undo the closures of Blanchot and the New Critics, and the Romantics behind them. Problems beget transformations, and transformations are the work of literature on its own constitutive elements. Wasser’s final thesis shows how literary criticism, like literature itself, is conditioned by problems, and the final three chapters of the book play this out. In the familiar territory of the new she finds in literary modernism, Wasser moves through Beckett, Proust (the book’s other hero), and Stein by focusing on rhetorical figures: the self-corrective epanorthosis (Beckett), claims as noncoincidence and hyperbole (Proust), and repetition and system building (Stein). Each of these more detailed encounters involves a serious reconfiguration of the author’s relationship to both assumptions about modernist art and about the production of the literary work, and each provides new insight into well-known areas of their work. What The Work of Difference ultimately does is rewrite the standard narrative about the modernist work of art within a much broader account of the history of literary thought since Romanticism. Wasser’s theory of literature is the kind of ambitious, conceptual, and broad thinking that contemporary criticism needs urgently. It’s hard not to feel some embarrassment reading Kate Marshall’s overwhelmingly positive response to my book; whether or not I managed to accomplish everything I set out to do in The Work of Difference, I do at least share Marshall’s enthusiasm for theory—for ambitious, philosophically inflected claims about the way we read and what our object is. Theory for me means making explicit fundamental disagreements about method and form; it means having something at stake in these disagreements and connecting them to a wider history of ideas. Marshall is the only respondent who mentions the “five theses on the literary object” that appear in my chapter 4, and I’m grateful she does; she sees them as the “true heart” of my book, as do I. She doesn’t cite them, though, finding them “too perfect to reproduce,” which suggests to me an unintended consequence of my argument, that there may be something about my shift from prose to numbered theses that deflects or disinvites engagement. Nevertheless, Marshall envisions teaching this material, and I hope she does, because I am eager to see what new work it might make possible. Marshall encapsulates my argument as being concerned with “transformation”: transformation, she writes, is “the work of literature on its own constitutive elements.” While I enjoy this formulation, I want to take the present opportunity to underscore the following: the transformation I describe in my book is paired with a concern for form. The “work,” in this account, is both the labor of transformation and the product of said labor. I do not seek to dissolve the work into a process of becoming. I draw on ontologies of difference and production (Deleuze’s, Simondon’s), but the interest for me lies in coming back to an entity called the “work,” something that, precisely given the ontological priority of transformation, needs to be accounted for as a real effect. The challenge, it seems to me, is how to think closure: how to think the peculiar kind of closure appropriate to the literary work and to the transformations it undergoes and effects; how to think the kind of closure we rely on to make basic, interpretive claims. Nathan Brown keenly refers to this as “formal determinacy (not unity)”; in my book I refer to it as a “minimal consistency” (86)—the minimal amount of hanging-togetherness that makes a work a work—and “a relative consistency” (83)—a consistency relative to the dynamisms that give rise to it. I describe this closure as “an effect among other effects” rather than as a necessary telos (84). I conceive of it, as Brown observes, as literary form. And if this form is not guaranteed by a principle of development—a principle such as we find, for example, in the living organism or in the self-reflecting subject of philosophical idealism—if it is not given from the outset as a principle, then it needs to be constructed. My insistence on form means that I think describing literature as essentially an experience or a quality (“literariness”) is not the right way to answer the question of what literature is. On every practical level of my encounter with literature, I encounter works. I buy books (or lose them, as the case may be, by the box, to the vagaries of the US postal service); I read book reviews; I teach poems and novels; I participate in the institutional validating and contesting of certain works as canonical. I do not mean to be glib—not at all. Rather, I mean to say we need a way of accounting for how allegedly “external,” contingent, or empirical factors are part of what literature is essentially. The theory of form I develop tries to do this, drawing on philosophical accounts of determination that treat individuality as constituted through an active exchange with a “milieu.” The so-called formal “closure” of the work, then, is relative and relational, the site of an open negotiation with an outside, without the work yet reflecting or redoubling that outside. Literary form is the site of a relation. Why conceive of form this way? I would go so far as to propose that a robust theory of literary form is the condition of possibility of historicist criticism. If the task is to think the relation between a work and the historical processes to which it belongs, then we need a way to describe the difference between the work and this process. Literary form, as I see it, is the site and production of this difference. Not surprisingly, I share Marshall’s vision of literary theory as being connected to questions of form, and I see these questions, as Marshall does, as tied to the possibility of “the production of new knowledge in the discipline.” A renewed attention to form should benefit formalist and historicist critics alike. Audrey Wasser’s brilliant and engrossing first book begins with a striking reminder: “The problem of art in the modern era is the problem of the new” (1). If The Work of Difference is also one of the most important recent monographs on the legacy of early Jena Romanticism, it is because then, as she puts it, “‘newness’ has a particular history”; a history which is “in no small way, our inheritance” (1), and which finds its locus classicus in the early romantic “valorization of the modern and the interesting” at the very end of the eighteenth century (2). Significantly, unlike its various conservative or “postmodern” discontents, while Wasser thus defines the “aim” of her book as the articulation of “a non-romantic theory of literature” (3), she pursues this not by seeking to efface or undo “the problem of the new” that, following Kant’s account of genius, the early romantics made the very centre of their thinking. Instead, The Work of Difference outlines what she terms an “alternative [non-romantic] philosophical tradition” for thinking such newness that, going by way of Spinoza, Nietzsche and (most importantly) Bergson, “culminates in Gilles Deleuze’s reworking of classical notions of system and determination” (20). Of course, one might reasonably wonder just how “alternative” such a tradition really is. 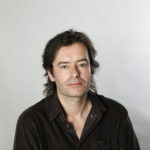 Certainly, there would be good grounds for arguing that a broadly post-Deleuzian “affirmationism” constitutes what is in fact an increasingly “dominant and largely unremarked doxa” in the Anglo-American academy; at least so far as the primarily “postwar French context” through which literary theory is framed by Wasser is concerned. 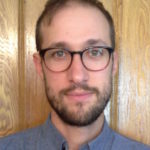 As Ben Noys has most forcefully observed, theoretical appeals to the power of negation—exemplified, for Wasser, by Blanchot’s post-romantic account of an “essential negativity” in literature (6)—face a somewhat “inhospitable environment” within much of the contemporary humanities.1 Indeed, Wasser implicitly acknowledges as much, noting in her conclusion a would-be “‘postcritical’ approach to texts” that marks “recent critical trends, from ‘surface reading’ and ‘affect theory’ to ‘thing theory,’ ‘object-oriented ontology,’ and an assortment of ‘new materialisms’” (160), many of which have taken inspiration from Deleuze, and all of which are characterised by a suspicion of the supposed negativity of critique. In this context, the ambition of The Work of Difference is not so much to break with this emergent doxa, as it is to provide a more nuanced and serious attention to “the genealogy of the [romantic] concepts they seek to criticize,” without which, Wasser argues, such “trends risk rehashing the same critical maneuvers of previous generations” (161). At the same time, Wasser is rightly suspicious of the various under-theorised desires within such trends “for the extratextual real, for the more immediately political, for the concreteness of objects or affects over abstract questions of language and form” (160)—although, noticeably, she doesn’t much comment upon the influential role that the later Deleuze avec Guattari has often played in this. As she thus concludes in her final paragraph, the aim is to defend a broadly philosophical (rather than strictly formalist) concern with “questions of form,” which is focused on the specificity of literature qua literature as an art which belongs to the domain of “concrete forms of experience” rather than of the Idea. In this sense, both “autonomous,” to the degree that it requires “the specificity of a genuine literary thinking,” and yet never self-identical, or always differing from itself, the literary work resists being “conceived along the lines of a reflection of ideas located elsewhere . . . the shadow or fragment of a truth that has a wider import than itself” (162). As a materialist interrogation of those “unquestioned, metaphysical assumptions” that have “been transmitted through mid-century theory to present-day criticism,” many of the “targets” at which the book takes aim, particularly in the first two chapters, are pretty “familiar” ones, as Wasser acknowledges—that is, “those presumptions of unity, closure and self-reflection that govern reading practices no less than they determine conceptions of literary form” (161). More striking, and challenging, is her claim that that other (non-Hegelian) romanticism famously sought in Blanchot, and later in Lacoue-Labarthe and Nancy (53), for which the early romantic theorization of the fragment may also be regarded as the source of a precisely non-organic conception of the artwork, equally repeats the same essential “speculative logic of romanticism” itself, albeit in a negative form as the “endless repetition” of its “failure,” so making perpetual an “indissoluble metaphysical tension” between “necessity and freedom, form and formation” after Kant (37). I don’t want (or have the space here) to adjudicate between these different readings of Deleuze’s proximity to romanticism), nor the ways in which a preference for the earlier or later Deleuze might play some role in this. Instead, what seems of more interest to me is the ways in which it is precisely the same basic “ontological” opposition between the “positive” and “negative” that serves to frame such divergent readings themselves. The question I would want to ask is, then, not so much one of whether it is preferable to seek an ontological principle in either affirmation or negativity, but of what is the cost of these moves to ontologise “the new” as such? Wasser is not shy about this: as she makes clear, her concern is precisely with “the ontological investigations in Deleuze’s philosophical works, especially Difference and Repetition (1968),” rather than, by and large, with his own literary readings (something true even of the chapter on Proust). The considerable cost of this primarily ontological bent, however, is that The Work of Difference cannot but rely upon what, I think, can only be described as a kind of concomitant ontologization of the question of what we mean by modernity (or modernism) itself. What Wasser in her introduction identifies therefore as, for example, “the experimental ethos of literary modernism epitomized by Ezra Pound’s exhortation to ‘make it new’”—and its pre-history in “the early nineteenth century” and “romanticism’s valorization of modernity against neoclassical standards of beauty” (1)—must, despite its apparently specific historical location, be effectively identified, at the same time, with some kind of transhistorically and “virtually” present creativity of essentially metaphysical significance, which is itself reliant upon an ontology of “becoming” and a conception of the “real in all its spatiotemporal richness and inventiveness” (162). A specific ontology of the literary work (or even of the twentieth-century work), where “difference itself is conceived as form” (161), is, in other words, ultimately subordinated to what is, at its limits, a kind of affirmation of the temporal dynamic of the real as “itself” the endlessly different or new—a dynamic which, detached from all “negativity” (construed as ontologically “secondary”), also risks being unmoored from any historical analysis through which the work of art might be rendered socially as well as “artistically” meaningful. 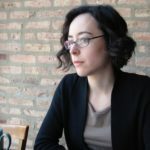 This is not to say that Wasser doesn’t pay due attention to the ways in which the “ontological question” that concerns her—what is literature?—and the ambition to elaborate a “non-romantic theory of literature” that follows from this, concerns “a historically contingent object” (3), and one that is “the product of a fairly recent history” at that (14). Indeed, the first chapter of The Work of Difference, in particular, is very good on this, and on the ways in which, for example, over the course of the eighteenth century—under pressure, as Schlegel recognised, from the emergence of the novel as a kind of uniquely modern “genre without genre”—the term “literature” came to displace “poetry” as the most “useful” “umbrella term” (15). Yet the inevitable tension that results—particularly once we come to the book’s chapters on Blanchot and Deleuze—is one between a historically specific dynamic of the “problem of the new” that defines the “problem of art in the modern era”5—more broadly associated in Marx and others with the distinctive “deterritorializing” forms of capitalist modernity, and one that is already registered, in some sense, in Schlegel’s historicized distinction between the classical and modern (or “romantic”), subsequently taken up by Hegel—and Deleuze’s own tendency towards a more general ontologization of time itself as sheer movement, flow or change, which effectively denies any distinctiveness of modernity as a temporalization of history (whether we date its emergence to the eighteenth century or earlier) in favour of a sense of time simply as the generalized New. It is not so surprising in this sense that it is Bergson, in particular—for whom duration simply is “invention, the creation of forms, the continual elaboration of the absolutely new”6—who is credited by Wasser as the key influence on her Deleuzian thinking in this regard. However, the price paid for this suturing of a thinking of modernism to an ontologisation of the new as simply the time of becoming as such is an inevitable loss of specificity in any articulation of the precisely differential “value” of modernity or modernism as distinctive concepts of historical time, rather than, say, “duration” as that which always “differs from itself.” The danger is that in throwing out the bathwater of “German Idealism” (73), The Work of Difference ends up throwing out the baby of historical differentiation altogether. In this regard it is hard to know what to make of the connection Wasser posits between the claim (to which I am entirely sympathetic) that “to think the new is the task of any contemporary philosophy of art” (my emphasis) and the claim that, since existence is “the domain of art,” “to think the being of a work of art requires granting creative powers to existence itself” (154). To be sure, “creativity” is indeed a question of “real, sensual existence.” What materialist would think otherwise? But “existence”—and, indeed, the “work of art”—in what sense? All existence? All works of art (including those we have only retrospectively described as such)? And if this is so absolutely generalizable, what possible purchase can this give us on either “modern” or “contemporary” art (or existence) specifically—let alone on any break between, say, the forms of nineteenth- and twentieth-century literature—and the specific forms of “newness” with which Wasser elsewhere indicates her concern. The problem is that in theorizing “creativity” at the most general level, as that which constitutes the being of all “existence,” the character of modernity or modernism as specific historical formations or realities cannot but become blurred. As in much so-called “post-critical” theory, the danger then is simply that in starting from the purely philosophical affirmation of a single ontological “plane of immanence”—severed from any critical or “negative” moment—such immanence can, brought back to the level of the literary work, only finally reenact an idea of the new at its most abstract, as the “permanent” invention of creative beginnings, rather than working through the social divisions and violences within which the artistically new might be differentially produced under the changing conditions of the present. As that other exemplary thinker of negativity Theodor Adorno insists, if newness is indeed a question of “real, sensual existence,” the “immanent historicity” of the art or literary work “which seems to be the mere self-locomotion of the material” is, necessarily, itself “of the same origin as is the social process, by whose traces it is continually permeated.” Hence, the ways in which, for any materialism, the “unresolved antagonisms of reality return to artworks as immanent problems of form.”13 It is this historicity or facticity from which no call to remake “our concept of the literary object on the basis of a different set of ontological claims” can ultimately be disentangled (6). By contrast, superb as Wasser’s account of Deleuze’s metaphysics may be, my fear is that the central theoretical sections of The Work of Difference render the problem of the new, first and foremost, as an abstract question of “alternative” ontological commitments to the metaphysically positive or negative in themselves. Deleuzian creativity is set against here Derrida’s and Blanchot’s similarly “ontological” treatment, as Wasser reads it, of what she terms the “paradox of the new,” and of how this confronts the (modern) “imperative to grasp art as new” with “the deeper, conceptual difficulty of how one ought to negotiate the relation between system and event, or between history and innovation. How is it that new works or new forms are possible within the determinate orders of history, language use or the social?” (2–3). (Note, here, how “history” is implicitly opposed to “innovation.”) On Wasser’s reading, if the artwork can then only ever appear to be infinitely paradoxical, for Blanchot and Derrida, it is because this paradox is tied to the ontological form of a “Hegelian logic” whereby “negation is necessary to determination [of the new] as such.” Since the new is only possible on the basis of “its rupture with any set of present possibilities,” ontologically speaking, “impossibility alone remains its true condition” (67). Hence, it is concluded, the need for a turn to that “treatment of creation” in Deleuze and Bergson that would think the new free of “the brace of negative determination” (67). Yet, this account of the (im)possible—which seems to me far too quickly inserted into the rather different terms of a Bergsonian distinction between the possible and the virtual—is, in some respects, an odd reading of what Derrida is arguing here. For to say, as Derrida does, that “the conditions of possibility of the new—that the new be unforeseeable, unprogrammable, and, at the limit, unrecognizable—appear simultaneously to be the conditions of its impossibility” (67) is clearly not to say that there is therefore no newness, only that such newness is never absolutely so, since to be absolutely new, or absolutely other, in this sense, would be to render the “new” itself as (impossibly) “self-sufficient” or self-present, precisely without difference or relation to anything other than itself. There is some sort of “paradox” or “aporia” here, for sure, but not one that is thus destructive of all newness, or particularly tied to any ontology of “negativity” as such. Instead, all questions about the new become about the specific forms of newness that may be constituted through the singular context of a general economy of relationality or difference in which they emerge. Among other things, it is not clear, in this sense, to what degree a distinctive “poetics of difference,” worked through in relation to the book’s startling readings of Proust and Stein in its final chapters, as texts that “depart from the forms of the nineteenth century” (161; emphasis added), can really—other than polemically—be kept apart from some dynamic of negation or creative destruction, as Wasser wishes. Certainly one might ask whether such “departure” can really be understood other than as departure from some determinate “forms” of art, “orders of history, language use or the social,” that are encapsulated in the periodizing category of “the nineteenth century” itself. (It is perhaps for this reason that The Work of Difference is, bar a few comments about the “nineteenth-century genre of family chronicle” and realism in the chapter on Stein (140), not terribly specific about what this difference from some outmoded “nineteenth-century” conception of literature might exactly be.) Like it or not, the “new” is always a comparative concept. And, at the very least, this requires a great deal of rhetorical weight be placed on a Deleuzian vocabulary of “experiment” and the “genuinely creative” simply to ward off any relapse into the dreaded “negative” at this point (10). Of course, as Noys argues, one might sense here various larger problems with Deleuze’s own attempts, announced as early as the 1956 essay on Bergson, to expunge the negative from his account of being as affirmation altogether, or to transform it into an entirely positivized theory of difference, where it is precisely the problem of the “truly new” that provokes a certain “concession to the negative” in the form of a “creative work of destruction,” even if one that must ultimately be subordinated to the ontological primacy of affirmation.14 However one views this, it is not terribly clear to me, at any rate, why Stein’s Making of Americans, for example, has to be either a “positive or constructive” or an “essentially negative exercise,” rather than constituted in its newness though the relationship between the two (141). Brilliant as it is—and Wasser’s final chapter is one of most exciting bits of work on Stein I’ve read for a long time—there are places here where the desire to place Stein so firmly on the side of affirmation can come rather close to tendentiously attributing to her a kind of Deleuzism avant la lettre. Wasser constructs a strong argument that Making of Americans provides us with “a model for thinking production as immanent to repetition” (148). But this cannot in itself address the question of what made such strategies of repetition themselves historically new. The danger is then that what we get instead is an account of the similarities between Deleuze’s comments on the aesthetic and Stein’s own “interest . . . in the genesis of categories and concepts,” as these are—I can think of no other word—reflected in the ways in which, in the novel, “ways of living and forms of knowing are produced creatively in time and space” (154). As the writings of the romantics themselves make clear, this kind of historicization of the modern as itself a form of historical temporalization is not without its own risks—specifically, the danger of mythicizing, in the fashion of the early Lukács, some happy premodern age untroubled by any such “problematisation” of the “accomplishment of a work” (55), and for which, as Wasser rightly notes, “traces of freedom can be retained in the work . . . only in the form of a loss” (66; emphasis added). (Derrida, again it should be said, is very much alive to this danger in Blanchot and in the latter’s Heideggerianism.) Nonetheless, without such a historical conception of modernity, the risk is that one simply dissolves the distinctive social and cultural conditions through which the “problem of art” as the “problem of the new” comes to be differentially articulated into an effectively transhistorical metaphysics of newness as indistinguishable from the dynamism of the “real” as such. The Work of Difference is a remarkable book—in its readings of Proust and Stein, and in as good an exposition of the Deleuze of Difference and Repetition as could be imagined—but, in the end, it’s not clear, for me, that its work of difference is quite differentiated enough. I’m deeply grateful to David Cunningham’s incisive response for initiating a conversation about the very core of my project and its motivating concerns. Cunningham and I seem to agree, broadly, on what it is my book does not do. What it does do, why it does so, and what it makes possible on the basis of this doing, however, Cunningham and I see very differently. The main difference between us lies in where we locate the ontological, and in which concepts we think can do the work of a philosophy of history. Interestingly enough, the very thing Cunningham laments as lacking from my book—namely, resources for thinking historical time—is the very thing his own reading obscures from view. This happens because he misrecognizes the book’s fundamental ontological claim. The core of Cunningham’s argument is the following: my book does not undertake a historical critique of its own ontological thesis. Specifically, it fails to show (here I paraphrase the final lines of his response) how the modern “problem of art” emerges out of distinctive social and cultural conditions to become “the problem of the new,” and how this problem in turn comes to be articulated (by Bergson, Deleuze, or myself) as a “transhistorical metaphysics of newness.” On Cunningham’s reading, then, my emphasis on the creativity of the real results from my mistaking a specific product of modernity—a certain concept of historical time—for a transhistorical condition of Being as such. On the first point, I happily agree that my book does not ground, nor seek to ground, ontological claims in historical critique. If Cunningham is disappointed in this gesture, it is because he and I disagree about what constitutes “first things.” I see his concept of history, for example, not as foundational but as relying on an unstated ontology, an ontology inherited from the tradition of German Idealism that has itself “ontologized” (to borrow Cunningham’s term) the negative, by which I mean it treats the negative as the motor of the concept and as the basis for conceiving of time and determination. One of the goals of my book was to unsettle this inheritance by working through an alternative account of determination; by showing how it is possible, in other words, to respond differently to the very question “what is . . . ?”, drawing on resources from Deleuze’s work which treat the negative as a secondary effect. Far from denying the existence of the negative, then, these resources attempt to account for it, on the view that the negative is produced and must be explained on that basis. For his part, Cunningham sees my ontological arguments, and I suspect the very gesture of “doing” ontology at all, as rooted in historically generated values that are not acknowledged as such. Neither one of us thinks the other is standing on a firm foundation. In Cunningham’s view, I am an over-affirmer and an over-ontologizer. My book partakes in what he sees as a broader, “post-critical” (a term I reject) trend of “affirmationism” that avoids “theoretical appeals to the power of negation.” At first I thought that these were two separate allegations, and that Cunningham saw “affirmationism” as a kind of inappropriate affect, a perverse cheerfulness, perhaps, in the face of the disaster of modernity. Then I realized that these were two ways of saying the same thing, and that both came down to what Cunningham mistakenly took to be the ontological foundation of my argument. Via Deleuze, he refers to this as an “ontologization of time itself as sheer movement, flow or change” and as “an ontologization of the new as simply the time of becoming.” Cunningham identifies Deleuze’s position with Bergson’s, in other words, and he sees it as suffering from all of the latter’s limitations. Now I understand this emphasis on temporal becoming is commonly used to characterize Deleuze’s thought (a doxa of Deleuze’s detractors? ), but I would reject it. Let me make a technical point here that I hope to show has wide-reaching consequences. Deleuze’s ontology, the one underwriting my arguments, is not an ontology of time. It is an ontology of difference. Difference is the transcendental condition for determination as such,1 and it is supposed to account for representations of time as well as representations of space. In itself, difference is neither temporal, nor spatial.2 And it does not move. Time, on the other hand, is a structure of experience. On this last point, at least, I think Cunningham and I actually agree. So that when Cunningham says that, through Deleuze, I’ve “ontologized time,” he means that I have taken a structure of experience—time—and wrongly affirmed it as having an ontological status. In this case, being an over-affirmer and an over-ontologizer amount to the same thing, the same error, an error that entails a collapsing of levels and an ignoring of the historically specific production of different temporalities. By making the claim that I’ve “ontologized time,” however, Cunningham himself collapses the levels of my argument and cannot recognize, or at least does not engage with, the treatment of time that I do have in place, and which is not ontological. The heart of my argument appears in chapter 4 in a theory of “literary problems,” a theory that is meant to model an approach to literary history. Through the interrelated notions of individuation, milieu, and problem, I offer a way of thinking about the embeddedness of a literary work in history, in a specific history of which the work itself can be grasped as a reading. Here, the notion of history I am working with is not meant to be empirical—history is not simply given—but critical, where what we call “history” must be constructed as a condition if it is to be grasped as playing a role in the production of a particular work. The work is individuated from its history like the act of solving a problem, and it is individuated as part of a “milieu.” The term “milieu” describes the forms of time and space that characterize particular individuals, and that themselves emerge from problematic “spatio-temporal dynamisms” (see Deleuze 214–15; Wasser 83 and 171n14). The individual and its milieu should be grasped together, in other words, as parts of an irreducible complex responding to one and the same problem. If the trio “individuation-milieu-problem” plays the role of what goes by the name of “determination” in other philosophical systems, its value is not only to emphasize “process” over “product,” but also to provide an “ecological” perspective on the question of what an entity is (in our case, what a literary work is). The work is determined along with the forms of time and space that are particular to it. In this way, the theory of problems at the heart of my book can be understood precisely as a theory of the historical genesis of temporality. Granted, I do not emphasize these terms in this way, and this may be a rhetorical failing on my part, but that is what it is meant to be. This theory of problems at the heart of my book, moreover, is meant to serve as the technical account for an assertion that appears in a few places: that of the creativity of the real. Cunningham is troubled by the claim in the following form, that “to think the being of a work requires granting creative powers to existence itself.” He suggests that making this claim in a general way about all of existence leaves one unable to grasp the particular creativity of particular works, as well as the particular character of modernity. This is a great point, and it seems to me it would be true if the assertion of creativity were made on the basis of an “ontology of time”—that is, on the basis of the ontological claim that, because every entity exists in time, every entity that comes along will be “new” in the sense of differing from every previous one. This generalization would indeed trivialize what we meant by “new.” Most significantly, it would collapse any attempt to describe the newness of a particular artwork into an echo of the overarching ontological claim. It is exactly this sort of collapse that I take aim at in my book, however: it is characteristic of romanticism in its most theoretical form and it is characteristic of the repetitive nature of Blanchot’s writings on literature (whatever the differences between Blanchot and the romantics). It has been especially well diagnosed by Jean-Marie Schaeffer as “the speculative theory of art.” In Schaeffer’s terms, “the speculative theory of art” always entails “a specific determination of both the content of Art and of the place occupied by it in a general ontology.”3 What it is unable to work out, I argue, is “the specificity of a genuine literary thinking.” I characterize this treatment as an idealism, and I’m glad to see that Cunningham identifies my own approach, specifically my emphasis on the “creativity of existence,” as a materialism. What “creativity” is at stake in my account, then? Not a temporal one. If we return to the trio of terms “individuation-milieu-problem”: “creativity” would be the name for the mutually transformative, reciprocally determining relation between an individual and the problem that conditions it. In other words, the creative or the “new” does not lie with the individual (the artwork) with respect to other artworks, but with respect to that work’s problem. There is an “asymmetry,” as Deleuze calls it, a non-resemblance, between the problem and the work that stands as a solution.4 It is with this sense of creativity that I would locate the materialism of my argument. The process of a work’s “individuation,” its coming-into-existence, I argued, is creative insofar as it is not controlled by any form of resemblance, nor dictated in advance by an idea or a blueprint. The idea does not run ahead of the work, but emerges concomitantly with it. In the end, this theory of creativity, with all of the ontological armature it entailed, was meant to provide a different basis for a practical thinking of specific literary texts. It’s significant, I think, that what I set out to do in my readings of literary works is not, or at least not mainly, to make a claim for the newness of those works with respect to other works, but to draw out cases of repetition, and specifically repetition in language. Cunningham’s rigorous reading helps me see how my argument about “literary problems” may have been obscured by the Bergsonian elements of my book, and in particular how this argument may have suffered from the lack of a concrete example unfolding along the lines of a historicist reading. Instead of the relation of the work to its history, I chose to focus on the relation of the work to itself. That is, I chose to focus on the intrinsic construction of the works I read, and on the way a degree of consistency—a literary form—might be grasped on the basis of an internal differentiation.